This weekend we are continuing our deals for the F-86F and MiG-15bis! From today at 1500 GMT and until Monday 22 August 2016 at 0900 GMT, we are offering 60% off both modules using bonus points! This bonus deal is open to all customers. Congratulations to the winners of the F-5E Tiger II screenshot contest! Although this lovely aircraft helps making great screenshots easier, the winners have done a fantastic job of showing off the great lines and power of this amazing aircraft. 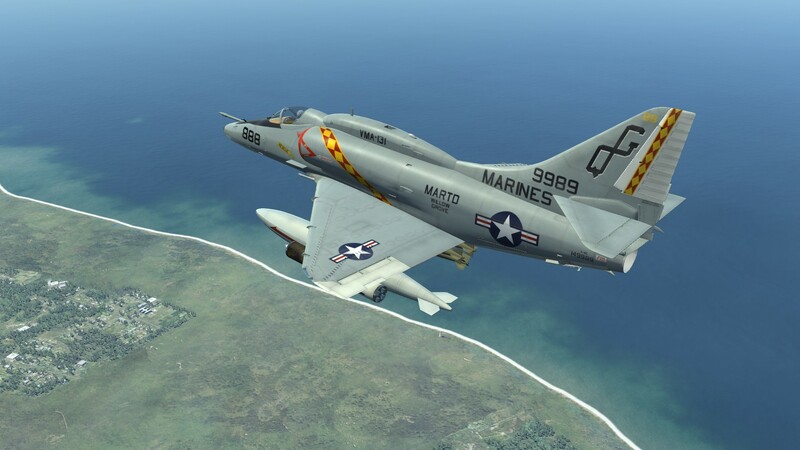 DCS: F-5E Tiger II by Belsimtek Early Access Available! Last week we published the 1.5.4 patch in Open Beta. So far, your feedbac is more than helpful in squishing this pesky bugs! Right now, we still have some critical bugs which we need to fix before we patch DCS World to 1.5.4. Nevada Map Bundle Deal Weekend! As our first DLC map for DCS World, the Nevada Test and Training Range map has been a big success in both its popularity and its showcasing of new map technologies. We don’t have them often now, but this weekend we are having a Flash Sale on most DCS World modules. Take advantage of this big sale while it lasts. The sale will run from 10 June 2016 (1500 GMT) to 20 June 2016 (0900 GMT). After a bit of a lull in late March, we picked up some momentum again in April and May has been a hectic month for the team. There are two big changes this month.